Discussion in 'Speakers & Subwoofers' started by Sam Posten, Jun 1, 2014. I admit to being a bit of a 5.1 snob but have recently had a chance to spread my wings a bit and look at a few 2 channel options that have made me give some consideration to that format and come away more impressed than I expected. The first was in checking out a set of near audiophile quality headphones. I was pretty blown away with the immersive-ness and comfort on those. Look for the name of that product and other details in a (hopefully) upcoming review soon. All of those reviews were very positive but noted one significant failing: lack of Bluetooth connectivity. So what is the marquee improvement in the Soundtrack 2? You guessed it: Bluetooth that is effortless and rock solid. Head to head with my bedroom 5.1 setup as a traditional 2.1 channel sound bar. The first thing that strikes you on arrival of the Soundtrack 2 is the sheer size of its shipping box. I think it rivals the Monolith (and has near the same dimensions!) from Arthur C. Clark’s 2001. 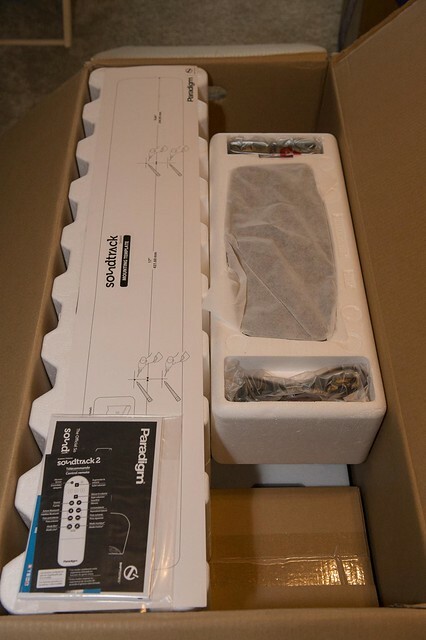 Having seen what most consumer grade sound bars shipping packs look like at Costco and Best Buy my jaw dropped when this massive bad boy showed up on my doorstep. The components aren't comparatively larger than those mass market items, it’s just the care and quality of the packaging on the Soundtrack 2 is first rate, possibly even more than is necessary. Also Sprach Zarathrustra: Dun, dunnnnn Dun-dun! 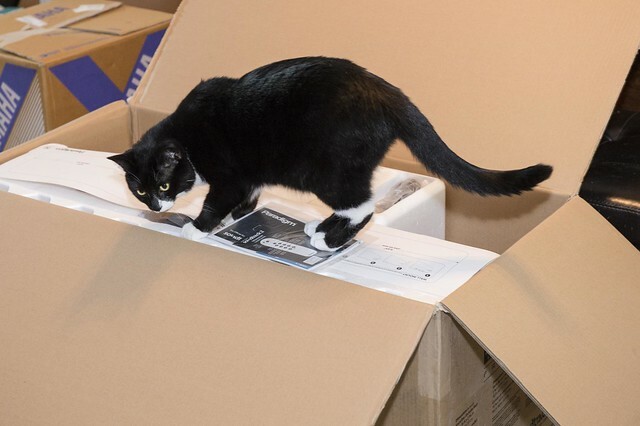 Seriously Sam, this is the best use of the box, don't you think? Setting up the sub was likewise easy. You have two choices: wired or wireless. I chose to go wireless -because- I am generally suspicious of the quality of doing so. Well this pretty much shut me up, plugged in, slid a switch to wireless and hit a one button sync and we were off. Flawless with one exception: A few times the sub did not automatically re-connect when the system was powered off for extended time. Had to unplug the sub and plug back in and it re-connected on its own without further intervention. I suspect it to be operator error on my part and that a wired connection would not have had this issue, but I’m still trying to get info on that. Sound quality on the sub was thrilling. There is nothing really to configure, you can set the volume level and that’s it, as far as I can tell the crossover is hard set and not user adjustable. I love having music on any time I’m sitting in my home office but up until now I've had to settle for the anemic sound coming from my iMac’s built in speakers or (the horrors!) the mono sound or stereo headphone output from my iPhone or iMac. It came as a huge leap to be able to have thumping bass from a real sub tied to these devices. Bluetooth setup couldn't be easier. Hit the ‘sync’ button on top of the unit, have your iDevice scan for Bluetooth targets and you are linked and playing as fast as you can swap to your music player of choice. I tested it with iTunes, Beats, Spotify and Pandora, all rocked out in the best of ways. I do not consider myself a golden ear audiophile but even streamed music and my collection of compressed music files sounded better than I expected out of a system this size. Musically it’s no secret I tend to love songs with ultra low end, and appreciate songs from the last 60 years which feature big bottom. Here’s my playlist, 600+ tracks of Bass Buster / Subwoofer Test: In Case of Emergency, Break Bass. I flipped through that over 3 days using shuffle and came away dang impressed. Standout tracks on this system include Herb Alpert’s Rise and Ace’s How Long. Young MC’s Bust a Move brought a big smile to my face and when The KLF’s 3AM Eternal came on I was transported back to the 80s with nostalgia for my fraternity’s brother’s basement disco quality sound system. Thumbs up all around. The Poem of Chinese Drum by Hok-Man Yim is one of my favorite Taiko tracks too, and when that showed up I couldn't help but just chill with my eyes closed and listen intently to the full dance. Impressive 10 minutes of booming bliss for sure. 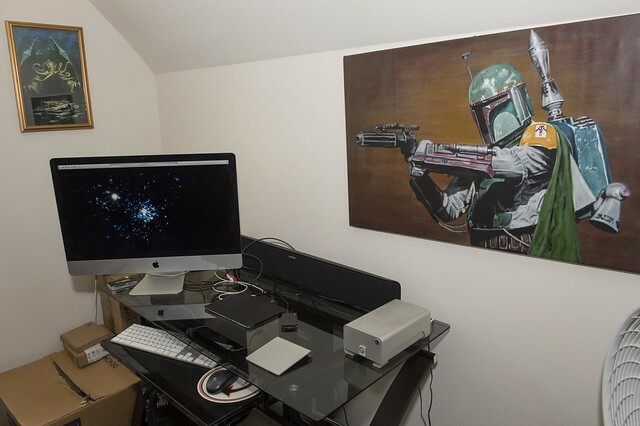 He’s no good to me dead! I briefly hooked up the system above my existing 5.1 setup in my bedroom, where I’ve got a modest flat panel hooked up to my cable box, PS3 and Wii U (playing on the Wii U’s pad while sacked out in bed is the best!) 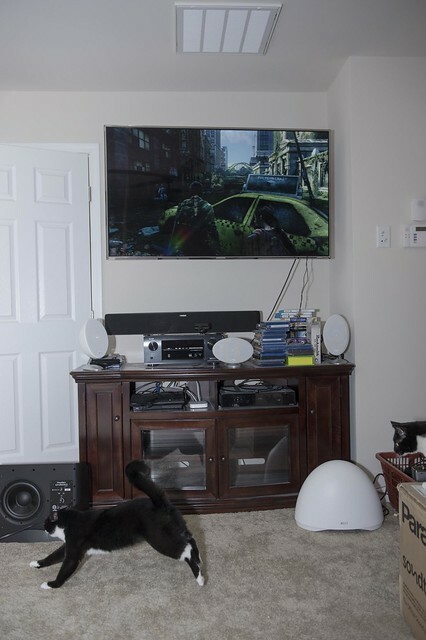 As there are only two input choices here, optical 5.1 and stereo RCA jacks I chose to simply hook it to the optical output on the PS3 and bypass the receiver for sound, with the HDMI sending video to the panel. I’m not sure how I would have handled it if it were a more permanent addition for me. Going from the HDMI 5.1 outputs on the sources to a receiver’s stereo output has been limiting in the past for me and there is no optical output on my 2013 vintage receiver. If I have a chance before returning this unit I may hook it up that way to test out. Hitting the source button on the included remote twice kicked the unit over to optical, I set my PS3 to output sound on Dolby Digital 5.1 optical (the Soundtrack 2 does not accept DTS) and once again we were off and running testing different media through it. 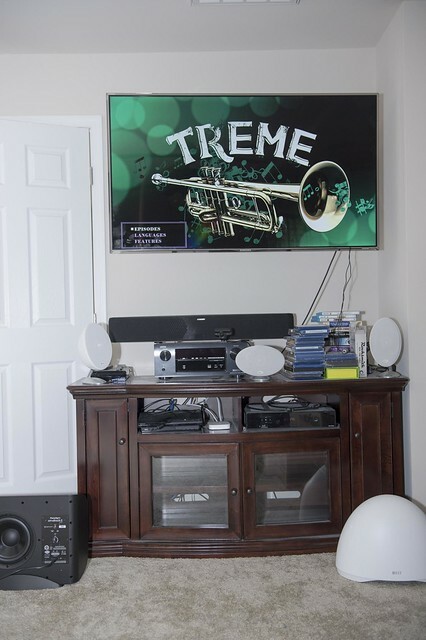 I played a few BluRays (including a few of the final episodes of HBO’s Treme) and a few games (including The Last of Us) and it was a pretty satisfying result, despite the loss of true rear output. The Soundtrack 2 has a ‘virtual’ rear mode which I tested on multiple tracks and disks and found it useful in some situations and not for me on others, particularly on 2.1 music. I've always been a bit wary of these features and know others love it. I have to say it’s the most impressive one of these algorithms I've heard, if a bit echoey, but I still prefer real rear speakers despite the added work of routing wires to them. Buck Jumpin’ and a havin’ fun! Includes feet for the sub, a wall mount template, table top feet for the main bar, and an optical cable. 2 isolated, identical channels for Left and Right. Left Channel: 2-driver, 2-way plus single passive radiator. Right Channel: 2-driver, 2-way plus single passive radiator. Molded ABS enclosure with matte finish. 2 x 25 watts of RMS power and 2 x 50 watts peak power. 1 x 25-mm (1 in) S-PAL™ satin-anodized pure-aluminum dome tweeter (per channel). 1 x 102-mm (4”) mineral-filled polypropylene cone, 37-mm (1-1/2”) voice coil (per channel). 1 x 102-mm (4”) mineral-filled polypropylene (per channel). Single driver, bass-reflex design. Ports are arranged perpendicularly to achieve the low-profile design. Built-in amplifier. Molded ABS enclosure with matte finish. 100 watts of RMS power and 250 watts peak power. 210-mm (8 in) reinforced mineral-filled polypropylene cone, 38-mm (1-1/2 in) voice-coil. Cradle adds 3/4-in / 1.90 cm to height. Feet add 1 in / 2.5 cm to height in horizontal position. While 5.1 is my bread and butter, it’s a simple fact that not every room needs or can support such a setup. If I didn't already have a full 5.1 setup in my bedroom I bet I could be happy with a Soundtrack 2 in there, and if you have an office, a basement gym or other small space where you’ll be spending a lot of time where you’d like a LOT more punch to your music then I could see the Soundtrack 2 being a perfect value for you. Right now you can get the Soundtrack 2 at major vendors for $899, which is a good chunk of change but when you consider the Bluetooth connectivity and ease of placing the sub wherever you want on top of the great Paradigm sound that is inherent in the system, it might just be worth the premium. 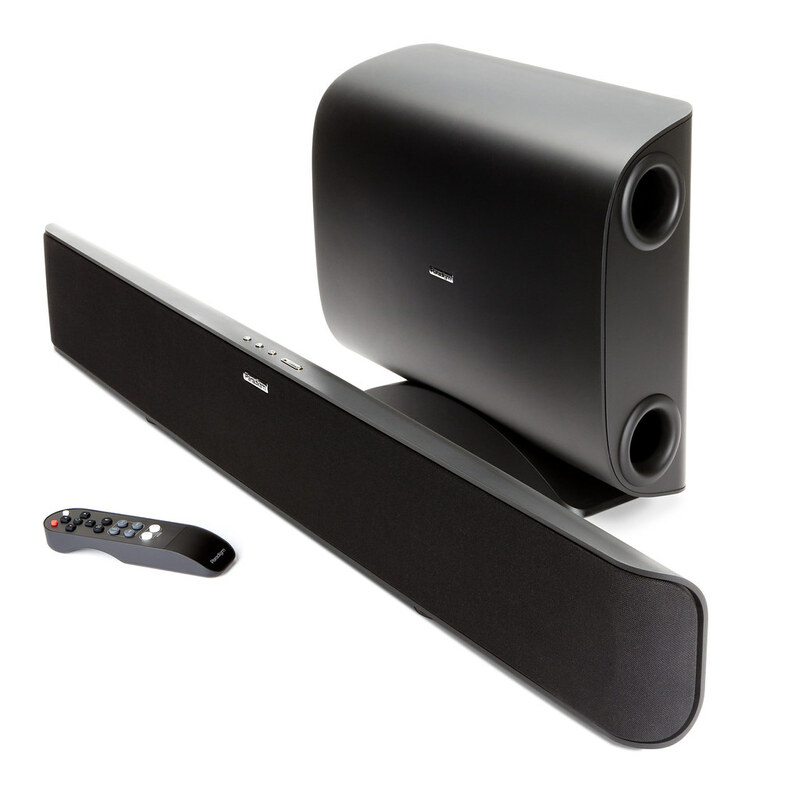 Are you looking for a full 5.1 Sound Bar? 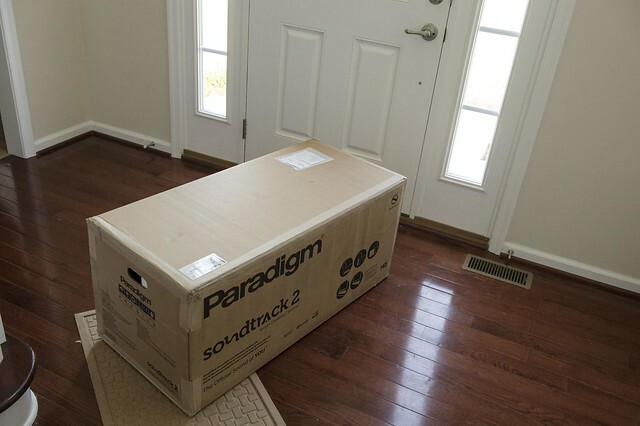 Paradigm has you covered there too with their $1500 SoundScape. Made a few edits, let me know if you guys have any Qs! Thanks for the review Sam! You bet! Was a bit sad boxing this guy up to send back last night~! 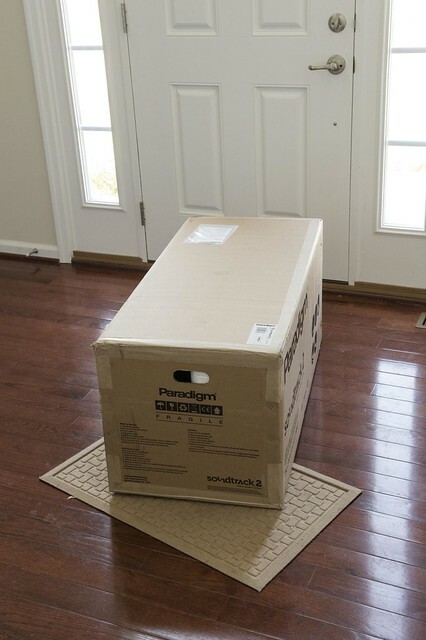 I guess my only question is when did Paradigm start selling it's products from online retailers? Is this just.. a special situation with this sound bar? The three Paradigm dealers near me don't want, won't demo...care not to sell these. Two also carry Yamaha. Those two, reluctantly, have a YSP on display...why?Yamaha has a "forced product plan", Paradigm does not. That's a really good question Jeremy, I will shoot an email to my Paradigm contact and see what they can say. Paradigm allows Shift series sales online. You "can" buy everything else online...but when you call for service...expect them to hang up the phone. No there is no shift happening with the brand and its distribution channels. 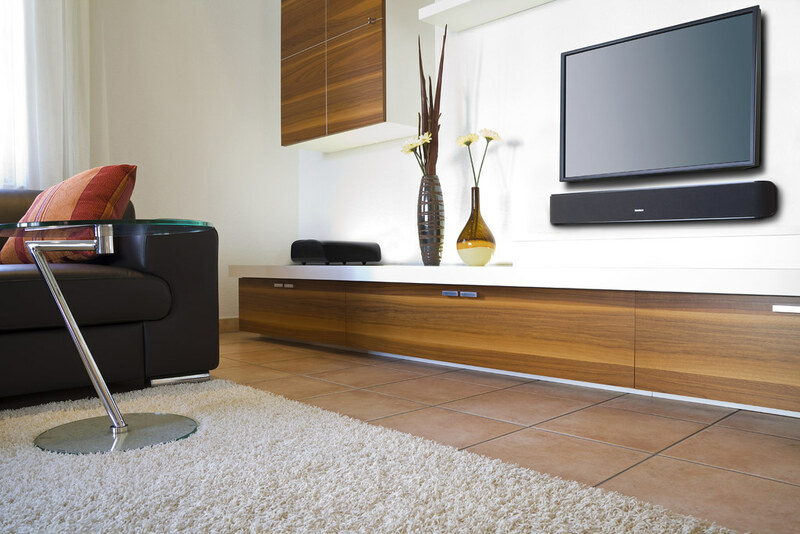 Simply an expansion of the line due to dealer demand for lifestyle systems and soundbars.